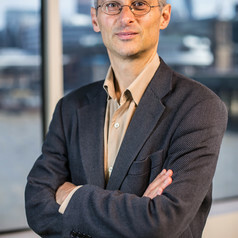 Andrew Jack has worked at the Financial Times since 1990. He is a Visiting Fellow for the Hilary and Trinity Term at the Reuters Institute. He currently runs the curated content team, a global group of journalists which guides busy readers through the best news and analysis from the FT and the rest of the web, using email, onsite posts, apps, multimedia and social. He was previously deputy editor of the analysis section, pharmaceuticals correspondent, Moscow bureau chief, Paris correspondent, financial correspondent, general reporter and corporate reporter. He is author of the books Inside Putin’s Russia and The French Exception as well as numerous specialist reports, and has appeared on the BBC and other media outlets. He led the FT’s coverage that won the communications award of the American Society of Tropical Medicine and Hygiene in 2011. He received the 2013 media award of the European Organisation for Rare Diseases; First Prize in the Stop TB Award for excellence in reporting for 2010; and a Kaiser Family Foundation mini-fellowship in global health reporting in 2008. He was twice Accountancy Correspondent of the year, and part of the FT team that won the British Press Awards for its coverage of the Maxwell affair. He is a trustee of SciDev.net, a non-profit media group covering science and technology for global development. He graduated in geography from St Catharine’s College, Cambridge, was the Joseph Hodges Choate Memorial Fellow at Harvard University and a New York City urban fellow. His Fellowship interests include the role of curation, human judgement and impact in journalism.